When your children come home from school with grades on their exams, you aren’t necessarily expecting perfection; however, you are expecting that your children at least tried to do well. Lately, you’ve been noticing that your children aren’t studying, and you want to learn some techniques to help them sharpen those skills. Imagine that you were trying to perform a task in peace and quiet. However, your baby brother was screaming, and the dish washer was running. On top of that, you could hear all of your friends outside playing a game of basketball, and every once in awhile, you’d hear the sounds of a television in a room down the hall. When you don’t provide your children with a quiet place to study, you aren’t giving them the space they need to perform such tasks. 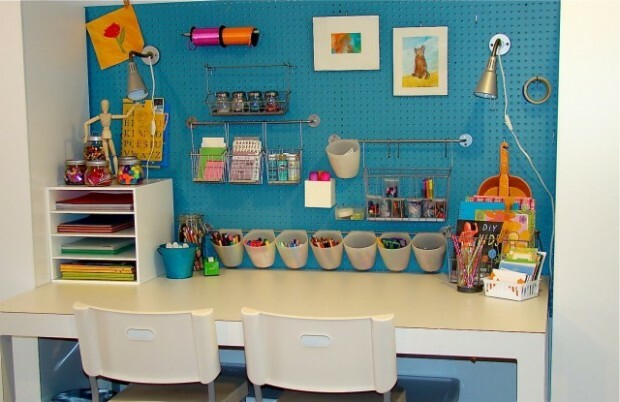 Whether you allow them to go into the office or you carve out a space in their rooms for studying and homework only, doing so gives them an area to study in. While you may think that a computer is an important study tool, it is probably more of a distraction than anything else. Whether your children attend the local public school or an international school in Kuala Lumpur, they do not spend the entire day on the computer. Having a laptop that can be moved when they are studying from the textbook is a wise idea. Also, you need to make sure that the study space is stocked with materials. Provide them with pens, pencils, erasers, a calendar, notebooks, a dictionary and other material that they may need. Perhaps your children aren’t studying because they are overwhelmed by the prospect of doing so. When they hear that a test is coming up, they feel anxiety about all of the chapters that they need to review. Instead of allow them to continue down this path, help them to plan out their studying. They will need a planner to do so. Decide which chapters they are going to review on which dates, and the night before the test, they can go over all of the chapters. Part of helping your children to learn how to study better involves having an active role in this experience. You don’t want to constantly hover over them when they are studying because that is not going to help them develop the independent skills that they need. However, you can quiz them before the exam. Whether you use index cards or create a mock test, you are helping them to try out their skills in a testing setting. After awhile, your children will likely develop the skills necessary to test themselves on the material. Children playing quiz to learn how to study better. Children are taught many lessons in school, but as parents, you need to teach them how to study at home. Teachers can provide them with tips, but you are the ones who will put them into action since you are in the home environment. Sometimes parents hesitate to send their youngsters to private boarding schools due to concerns about travel. Yet traveling widely does offer a number of benefits for children. Many international private schools recognize this aspect of studying abroad and make efforts to ensure that the students in their care gain exposure to historic sites and national landmarks within the host nation. Three benefits of childhood travel concern cultural exposure, language skill development and intellectual curiosity. Children who travel extensively benefit by obtaining exposure to other cultures. Although all human societies share some problems in common, people in different places developed remarkably different solutions to these challenges. This diversity enriches life. By traveling abroad, a child may gain insight into the lifestyles, customs, traditions, and attitudes of people in distant locales. The youngster’s perspective may widen as a consequence. For example, by journeying to another, very different place, a young person may obtain an opportunity to witness a different approach to resolving problems. A child accustomed to seeing everyone clothed in light, cotton garments in a tropical climates will certainly understand viscerally why some people wear heavy boots and coats if the child ventures into an Arctic environment. Without the ability to feel the physical sensation of icy cold weather, the full experience of life on the tundra might escape attention. Another benefit of foreign travel involves the development of language skills. Some parents choose to send their offspring to international private schools precisely in order to expose them to intensive academic work in another language. For example, some studies have shown that babies and very young children who hear foreign languages at an early stage in life develop the ability to pronounce the non-native words much better as students. The exposure to the nuances of native speakers makes an enduring impression, apparently. Many children who journey abroad develop an “ear” that enables them to catch speech and pronunciation differences, at least with respect to languages that they hear during an early stage in life. Language instructors often recommend that pupils begin learning a foreign language in elementary school for this reason. International travel may allow a young child to detect the varying tones of different languages, and ultimately become a better linguist. One other possible benefit of foreign travel relates to the development of intellectual curiosity. Children who reside in a single location until adulthood may grow so familiar with the local culture that they consider their own culture’s solutions automatically, and discount the methods that other cultures discovered to address challenges. They enjoy the advantage of strong roots, but may lack flexibility. Although few academic studies address this issue, the phenomenon finds expression in many literary works. In former generations, people sometimes referred to poorly traveled individuals as “provincial,” i.e. reflecting the narrow intellectual impact of experiencing only a single, limited locale or province. By exposing pupils extensively to cultural influences, such as museums, art galleries, and historic landmarks, adults can offer youngsters a broader intellectual perspective. Children who travel benefit by visiting these places. They may eventually form a more sophisticated perspective, at least in the sense that they gain a more comprehensive appreciation for the impact of other cultures on human society. Whether you choose to send your children to a distant academic institution, or you prefer to journey overseas with them, it benefits youngsters to experience some international travel, if possible. By observing people in distant locations, young people may gain a broader appreciation and understanding of foreign cultures, languages and ideas, thereby enriching their own lives. Going to law school is one of the most stressful and important things that anyone can do in their lives. In order to fully succeed in law school, a person must have a great support system around them. There are many things that a significant other can do for someone that is going to law school to help them get through this difficult time in their life. Below are three gifts that every law student needs in order to maximize their chances of success. In law school a student is going to be online the majority of the day. It is important that they have a laptop that is both fast and has a lot of processing memory. Nothing is more frustrating to a college student than a laptop that does not run quickly. In addition, having a good laptop means that the student will be able to maximize their chances of success. It is important that law studies are done so with the best technology possible, and that is why a great laptop makes so much sense as a gift to a law student. Law studies are a significant commitment in terms of both time and money. With that being said, many law students simply do not have the time to go home and make meals every night. Instead of eating a bunch of processed food that is not good for them, a family member or friend could pitch in to get a lot of gift cards to their favorite restaurants. Not only will this help them out in terms of time management, but it will also increase their morale about the entire situation. Sitting down at a nice restaurant to eat a good meal is something that not many people get to enjoy while they are in law school, and the student will certainly appreciate the effort on their behalf. Finally, one of the biggest challenges in law studies is time management. A great interactive calendar is a huge gift that can pay big dividends for those that are currently studying in college. If a person has a good support system and the ability to manage their time properly, they have a much higher chance of success in finishing law school. At the end of the day, any of these gifts would be great for those that are in law school trying to finish.